More than 500,000 downloads since 2009! Get the full edition which supports 25 file types! 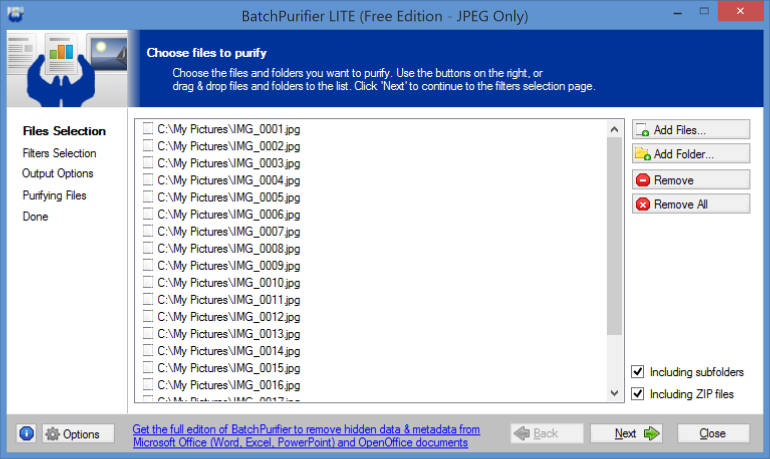 It's easy to remove hidden data from JPEG photo files using BatchPurifier LITE™. Simply select the files to be purified, select the hidden data types to be removed, and specify output options for the purified files.